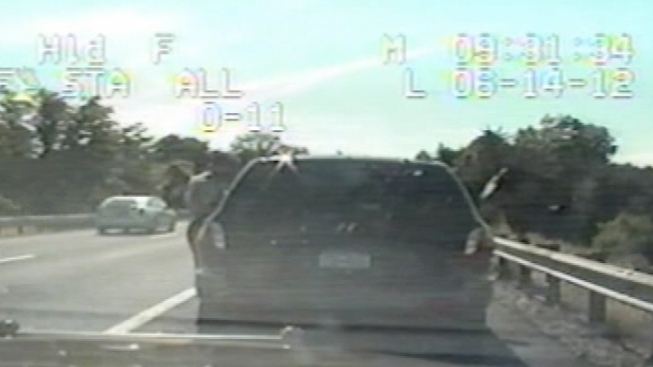 Maryland state trooper David Avila barely avoided a fatal traffic stop in June. New video shows a tractor trailer side-swiping into Trooper Avila’s vehicle, then clipping the officer as he stood on the shoulder of Interstate 70 in Washington County. Avila can be heard telling the passenger in the stopped vehicle to stay in the car, just before he collapses near a guard rail. The incident draws attention to the little-known, newly adopted “move over” law, which requires drivers to lower their speed and move over to the left lane when they see an emergency vehicle on the shoulder. While the tractor trailer received a fine for the offense, doctors still aren’t sure when Avila will be able to return to work.